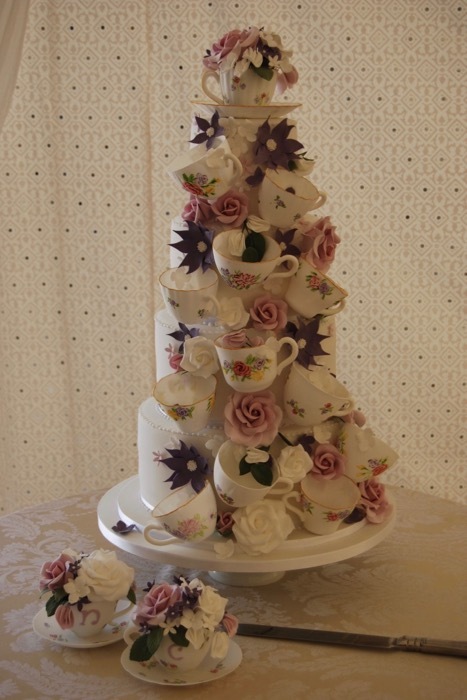 5” 7” 9” & 11” round tiers. 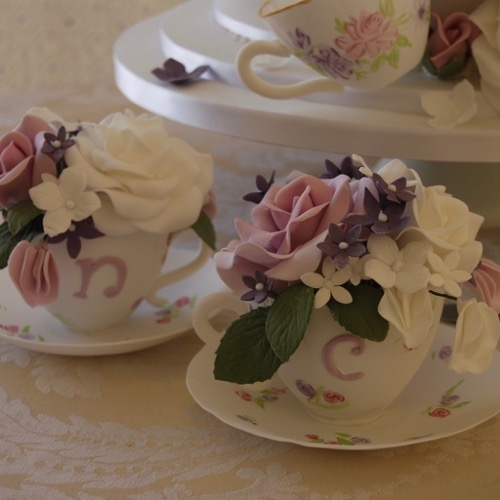 Handmade and hand painted sugar teacups. 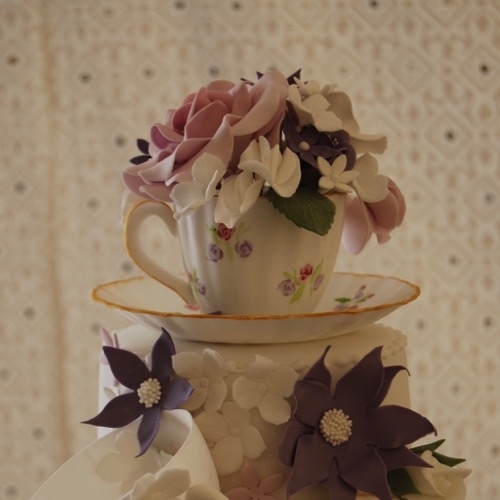 Handmade sugar flowers.